We are an ISO9001:2015/AS9100D certified CNC machine shop specializing in contract manufacturing of machined parts and assemblies. Industries that we serve have included aerospace, marine, medical, telecommunications, and microelectronics. We provide value-added services including final assembly and kit producing. We work with all types of materials including alloy, stainless, aluminum, titanium, triple nickel titanium, and assorted plastics. 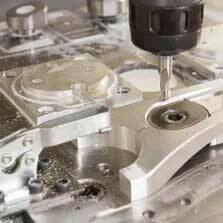 Our service includes CNC Milling (up to 5 Axis) and CNC Turning (Up to 7 Axis). Foranne’s lathe department consists of 7 CNC turning centers with Multi Axis mill/turns that allow us to provide finished lathe parts that also have secondary side hole drilling and milling. 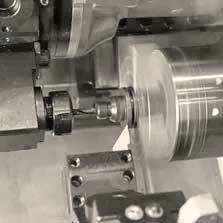 Capacities range from 0.125 to 20.7 inches diameter. Our 5 CNC milling machines enable us to machine complex parts with intricate configurations at lightning speeds with accuracy and repeatability in parts ranging in sizes from under 1/2 inch cube through large plates. Our Quality Management System is certified to ISO 9001:2015 and AS9100D. 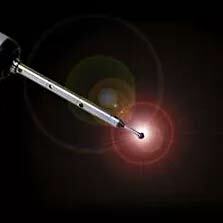 We utilize Coordinate Measuring Machines and can perform dimensional, hardness and surface finish measuring in our climate controlled laboratory. Our Engineering Department utilizes CAD/CAM software and Unipoint Document Control. We can use PDF, IGES, STP, SAT, DWG, Catia V4 & V5 Model/Drawing formats. Monday through Firday from 8:00am through 5:00pm EST. Copyright © 2017 Foranne Manufacturing Inc – All Rights Reserved.